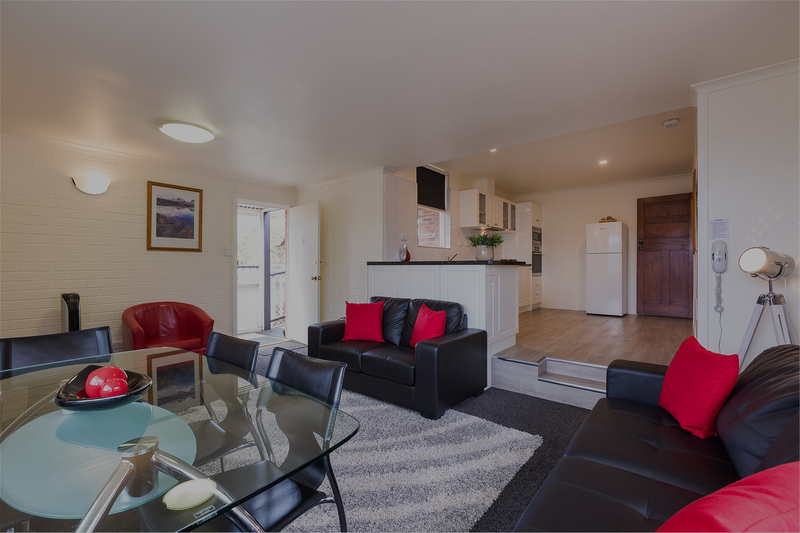 The apartments are continually being developed, are beautifully maintained and are the perfect Hobart mid-range accommodation. With just the right touch of deluxe, they are best for guests looking for mid-range apartments. At Graham Apartments you will experience the commitment and professionalism that enables us to continue to rate highly with all guests. "Outstanding from driving through the gates to slipping into a luxuriously comfortable bed. So quiet and peaceful. Everything you could ask for in a luxury stay. Highly recommend." 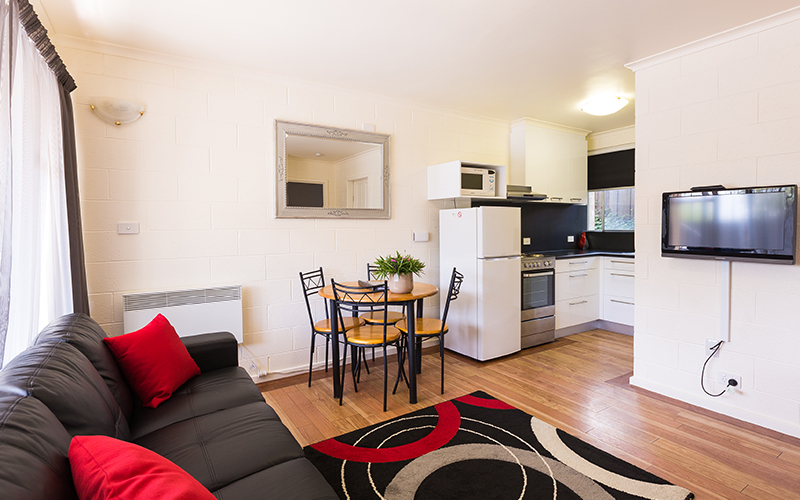 "It was a wonderful central apartment - staff were great & the apartment very clean and organised. Thanks so much!" "The room was fantastic - clean, well-presented and quiet. We had a lovely stay." "Apartment was lovely and clean and very neatly presented. Plenty of room for our family of six and mostly important for the kids was the free Wifi." "Congratulations to Graham Apartments for the excellent presentation of the apartment and the quality of the most friendly and helpful staff." "Excellent apartment. Extremely clean. Very helpful staff. Would highly recommend to anyone. We will definitely stay again." "We have had an amazing time at Graham Apartments! Our unit was just lovely with awesome views from the bedroom window." "We have enjoyed our stay at Graham Apartments, the most well appointed, clean, neat accommodation. We will certainly be back to stay and recommend Graham Apartments to others." "Only a one night stay this time but thoroughly enjoyed it. Arrived on a wet, cold day and reception had turned on our room heater for us. Stayed a week last year while my husband was in hospital. Great place as on a good bus route to the city." "Extremely pleasant stay with very clean and tidy rooms. Thanks so much, we will be back." "A very quiet stay, no hassles and the staff assistance exceptional. Thank you." "Very good location, close to downtown. Clean and Comfortable, well equipped kitchen and bathroom. Absolutely recommend." "Very clean and affordable. Little welcome bag is a lovely idea. We hope to return in the near future and would not hesitate to stay here again." "We were surprised and delighted at the comfort and feel of our apartment. The setting is beautiful and we will be back!" "We booked accommodation for 15 people from Adelaide and from the first enquiry to the final checkout the staff have been extremely helpful and efficient. The grounds are beautiful and the 3 apartments booked tastefully decorated with modern amenities and appliances. Can thoroughly recommend Graham Apartments." "The staff were very helpful. The stay was great. I was very happy with everything. Will recommend this place." "Peaceful, pleasant and convenient place to stay. Would come back again." 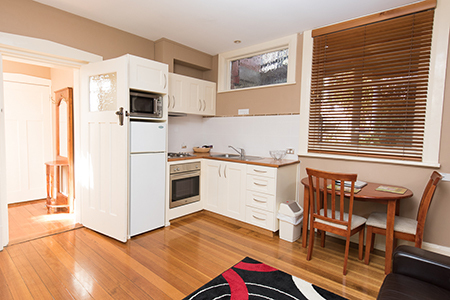 Conveniently located only minutes from supermarkets, shops and the vibrant North Hobart restaurant strip. Frequent bus services to the city are only 2 minutes walk. For travellers who need a safe place to park their car, graham apartments has you covered. We offer free off street parking. 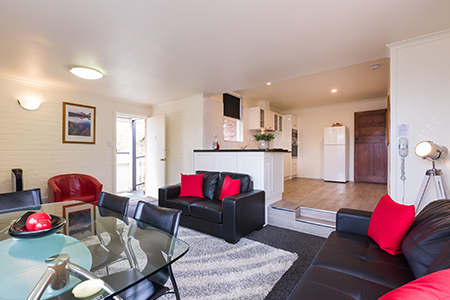 Graham Apartments is your family friendly accommodation in Hobart. We offer cots, high chairs, baby baths and toddler toys. Complimentary Internet access is available in all of our rooms via Wifi or cabled broadband connection. We offer a wide variety of self-contained and apartment rooms, which have recently been refurbished. All rooms are clean, comfortable and offer more space then a hotel or motel room. 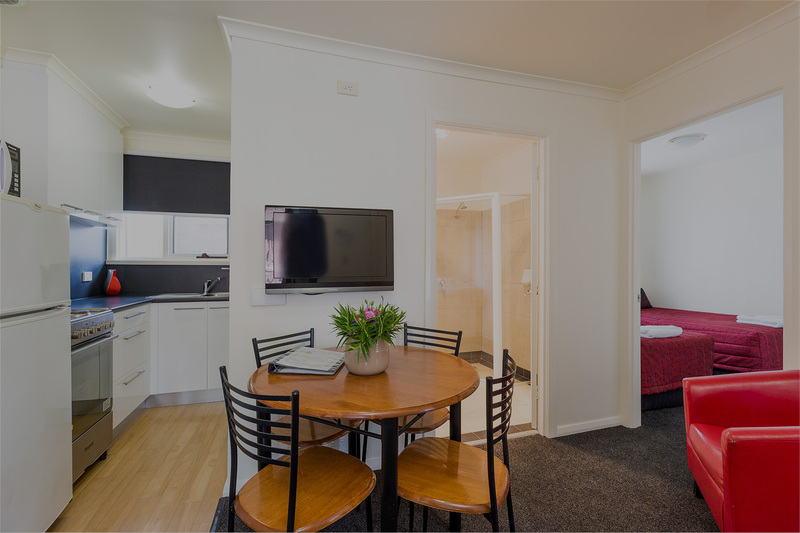 Our apartments feature complimentary Foxtel (Pay TV) access.